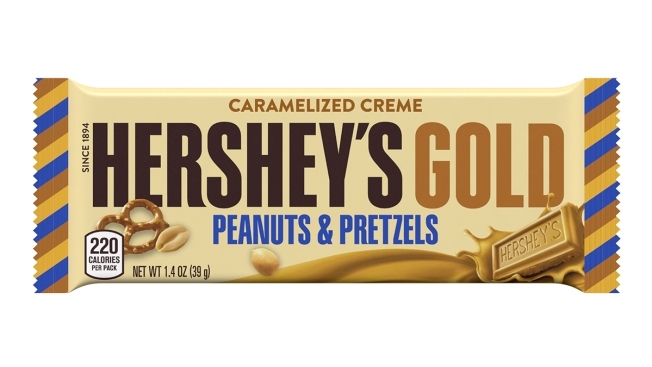 Hershey's Gold, a new candy product from chocolate giant Hershey's, is a caramelized cream bar dotted with peanut and pretzel bits. The Pennsylvania-based candy maker says Hershey's Gold will go on sale Dec. 1. It's described as a caramelized cream bar embedded with salty peanut and pretzel bits. Hershey's says the bar is a response to trends that it says show "the rising popularity of crunchy multi-textured candy."